Anna Resnikov is a freelance agent. 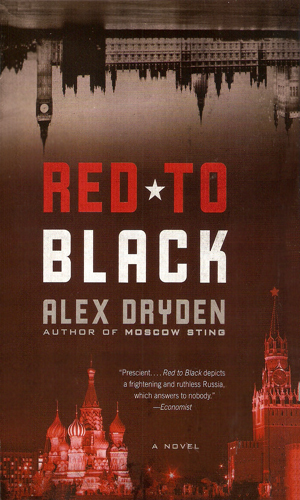 Aged 29 when the story told in the first book of the series commences, shortly after the election of Boris Yeltsin in what was becoming the new Russia, Resnikov was the youngest KGB agent to reach the rank of Colonel. While some might whisper that her position was because of her father’s influence, she suffered no doubts that she had earned her rank and her stature. Resnikov’s mother was the daughter of the Soviet’s leading economist, a man that the Politburo listened to carefully and who was wise enough to never tell them things they did not want to hear. Her father was a prominent agent with the KGB’s prestigious First Directorate, a man who taught her well that good agents were often the real power in any government. With her grandfather’s and her father’s different occupations but similar access to luxuries most Russians never dreamt of, Resnikov might have grown up spoiled and lazy but her grandmother took charge of her upbringing and made sure the young girl was solidly grounded. When she decided to follow her father into the spy business, it was with a determination to succeed on her own. Power given by someone else, she learned, can be taken away but that which was inside her was hers to keep. The series about Resnikov is one of a survivor who meets a British agent and falls in love with him while the two uncover secrets that some very powerful people want kept hidden. Together they bring down a huge conspiracy but it has its cost in her lover and in her career. As the series continues, she is given a chance for a new life in the West but she often finds that keeping what she has means doing chores for MI6 and later the CIA. She is very good at these chores and though she does not particularly like doing them, she is too good to not be asked and too smart to not say yes. 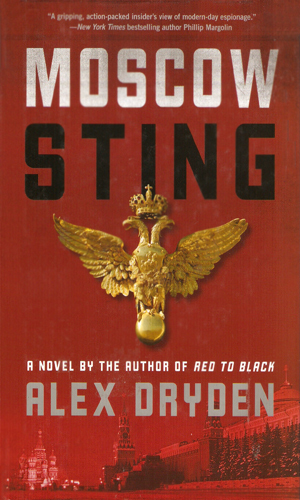 MI-6 sends veteran agent Finn to dig deep into the actions of Russian leader Putin. Anna Resnikov is ordered by the former KGB to spy on Finn. Together they discover a plot to control all of Europe. 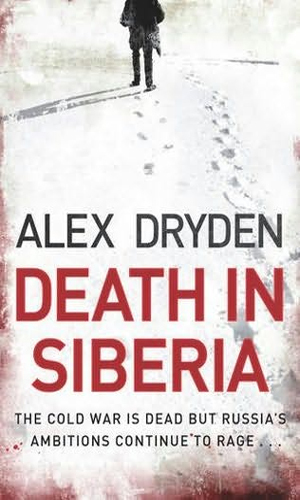 The death of MI6 agent Finn prompts his old boss to want revenge and who better to get it while getting the truth is the man's widow, Anna Resnikov. To get her help, he has to find her and he is not the only one looking as others want her dead. To live, she has to discover the truth and live to reveal it. To regain more of its old glory, Russia is looking to the Ukraine to being it back in. The CIA and MI6 both want to learn more so they send in Anna Resnikov and contract agent Logan Halloran to get it but the two agencies are almost as distrustful of each other as they are the Russians. While the US tries to get a piece of a huge oil deposit beneath the Arctic, the CIA hires Anna Resnikov to head into northern Siberia to disrupt the Russian plant already in operation. She soon learns that another group is out to destroy it but they are Russians themselves making the whole affair very interesting. I am still in the middle of this series so I have lots of really great reading ahead of me just as I have enjoyed so much already. Mr. Dryden’s words flow so easily and smoothly that the pages fly by. The main character feels like she is telling me the story without unnecessary words but without leaving anything important out. I have seen more than one listing talk of this as the Finn series, referring to the British agent Resnikov meets, works with, falls in love with, and then leaves her homeland with. However, Finn does not stay beyond the first book and there is little doubt from the first words that that is likely going to be the case. After that it is Ms. Resnikov and she never stops being a delight to follow. I'm hooked! The characters are the gems here. They are believable and you can understand their motives, even if you don't like what they do. The geo-political lessons about the "new" Russia are fascinating too. It all flows well! 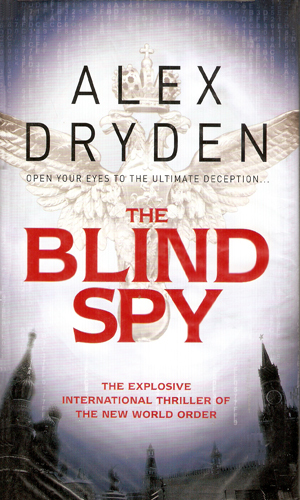 About to start "The Blind Spy" and am hyped! Too bad there is no more of Finn. His humor made the character fun. I don't usually lament over the death of a character, but this one got me good!